If you are a regular reader of this blog you will know that we advocate for the benefits of learning through play. 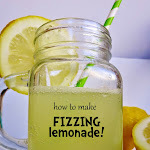 Here we regularly show you ways to play and learn with your kids, generally using things you can find around the house as well as basic art and craft supplies. However, despite using as many recyclable materials as we can in our play we have still bought and been given lots of toys for our kids. Whilst we don't show you all of that play on the blog, it is still a big part of how our children play and learn. The toys that we choose to buy for our kids can make a difference in their development. Being presented opportunities to see, play with and experience specific materials will present different challenges, require different skill sets and cover different learning areas. Children can learn from any toy, (or anything they deem to be a toy), but the amount, depth and breadth of the learning depends on the interaction between the child and it, and the type of opportunities the toys provide. Further learning can also occur when the child plays cooperatively with peers or adults. Educational Toys encourage specific learning areas such as Literacy, Maths, Science, Music etc. and are often more expensive than "regular toys" as (hopefully) more thought has gone into the educational benefits and the usefulness for your child and I find they are more often built to last. This isn't always the case though so it is important when choosing toys for your children that you consider a few points. Some questions to consider when choosing a toy for your child. What areas of learning will this allow my child to experience? 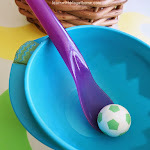 What different skills will my child need/develop playing with this toy? Will the toy grow with them? Can the toy be played independently? Can the toy be cooperatively played with? Does the toy encourage creative thinking? Thinking about these things first can save you a lot of money because toys nowadays aren't cheap and if they're not going to last and your children aren't going to see many benefits from them and be kept engaged over time, then they are probably just wasting your money. If I round up all the virtually useless toys we've had at our place and their combined price, I shudder to think how that money could have been better spent. I am always on the lookout for excellent quality, open-ended educational toys (as birthday's and Christmases seem to roll around so quickly! 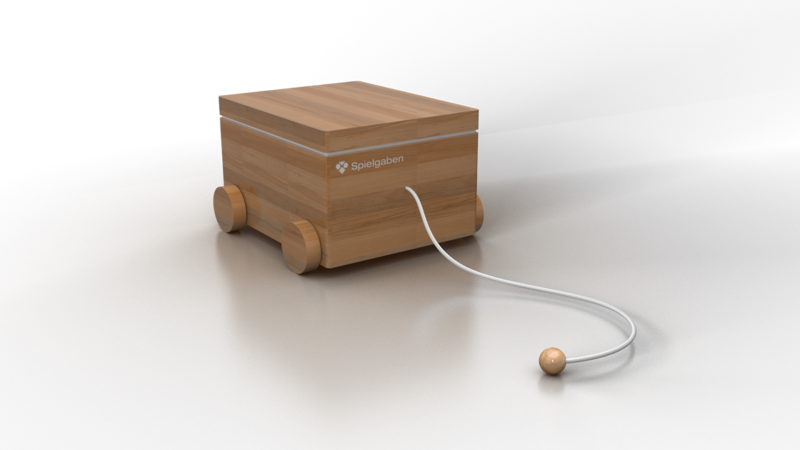 ), so when I was contacted by Jim Kim, the founder of Kidsground, introducing me to his newly designed Spielgaben Toy-Based Educational Learning System, I was keen to find out more. After going over the Spielgaben Website and checking it out for myself, I was absolutely delighted to agree to try out one of their sample models in anticipation of the upcoming production of the first batch of clean, beautifully re-engineered Spielgaben Educational Aids. Please note: The first batch of Spielgaben will be available only in Australia. However, keep an eye out as Spielgaben will be available to the US through Amazon later this year and to the UK early next year. Here is just a small amount of the fun we had with just 3 of the 13 sets. We have only brushed the surface of the potential of this educational play-based learning system. "Can I please keep building instead of reading books tonight?... I know! I could make and tell the story myself!" As you can see, we just adore these toys. The potential for learning is huge and the materials themselves are just beautiful. I absolutely love wooden toys for children and these definitely meet my approval with high-quality, 100% certified-sustainable solid timber and toxin-free materials. This is a set that should last a lifetime. A brief background about Spielgaben. What makes it so special? Frobel's original toys are still available but without proper training it is difficult for parents to get their full potential. This is why they've re-engineered the 19th century version to current day standards and spent a great amount of time working with educators to demystify this great toy's potential and make it easy and accessible for those with no training to use with their children. Includes 4 full-colour curriculum-based user guides in digital format. Over 700 pages to help you get the most from Spielgaben. How can I own them? Spielgaben, like most good educational toys is not cheap so you need to look beyond the initial cost and evaluate the value for your family, remembering that these will be played with over a lifetime. I know that if I added up the amount I've spent on Lego and wooden Thomas the Tank Engine sets, both I have spent more money on, which is fine because I know the value and the time that we will get out of those toys. Early Learning Centres, Kindergartens and Schools should also be having a look at these fabulous learning materials that could be used in different ways over all the age groups. 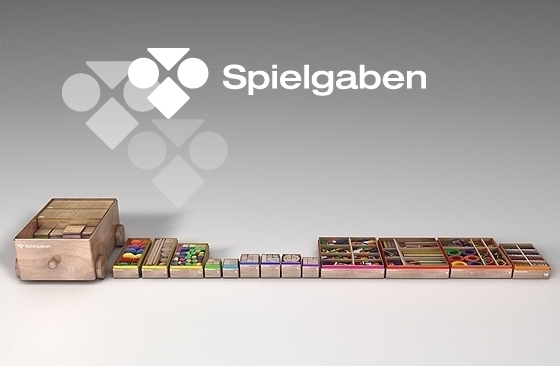 For a limited time, you have the chance to own the first completed sets of Spielgaben at a greatly reduced price. In order to listen carefully to first time users and glean valuable feedback, the company is running a crowd funding project to produce the first batch. What this means for your family, centre or school is that you have the chance now to own one at over 30% off. That is a saving of $200 but this offer is limited to the initial backers and once they have gone into production the offer will not be repeated. To take advantage of this great offer and to see more details, go here. For even more details, check out the Spielgaben Website. Please note: Sorry guys, the first batch of Spielgaben will be available only in Australia. However, keep an eye out as Spielgaben will be available to the US through Amazon later this year and to the UK early next year. What absolutely beautiful toys you got to try out! Just looking at your photos, I can see the play value in them...my 5 year old sidekick would love the hanging wood in particular (he spends half his time suspending toys from threads and hanging them down staircases as it is). The pattern blocks are beautiful too - you definitely made the right call on taking a new set when they come out. As a mother and a teacher I can see the huge potential in these toys. Thanks Debs for introducing me to these because I'm interested in them for my little girl. 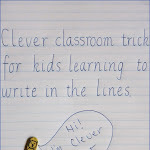 I can see the great value in them and know they would be of incredible benefit to the learning of children. These toys would be loved and passed down through generations. Are those attribute blocks? I remember using those when I was teaching, but mine were made out of fun foam (poor college student), these are so much better! They're gorgeous. oooh how lovely are those mosaic blocks! These look like such beautiful, well made toys! oh Wow, what absolutely beautiful toys! I can see so much potential in these toys and the mother and teacher in me is very interested!! I love how the pattern blocks have different shapes and shapes with rounded edges, opens up new possibilities. I want some of these now. My daughters birthday is coming up shortly and these would have been perfect as a gift. I cant wait till they are available. Looks like your kids had heaps of fun. Oh, wonderful, wonderful toys! I love all those patterns! What a fab, versatile product. Open-ended play at its best. What a perfect product to nurture children's potential through creative play. So many possibilities for open ended play and learning. Aren't these just a fantastic idea Deb! You can see the wonder and learning in those little eyes and the wooden box and quality means they will last for ages I am sure. Would have loved a set of these when I worked in child care centres....and would certainly love to try one out now with the twins! Thanks for sharing this new product with us! So, so fantastic Deb. I could use this in many, many ways. I know my three little girls would adore it. I love all the wood in it - I'm a nature girl! Those look so amazing. I'm sad they aren't yet available in the US! They are only just coming to us here Erica.. and you guys always get everything first! haha. It's our turn lol. Wow what a wonderful set. They look like so much fun and so versatile too. I hear you. I felt the same way when I first saw them too! This toys are very helpful for children. Their creativity will be increase to play with this toys. This is are safe also. Wow, they are wonderful, children can use easy with this toys. That looks amazing, I love the ramp you made! I want to be a child for play spielgaben...ıt's vey very exciting and educational.I'm primary school teacher and have a 16 months old baby... ı'm writing this comment from Turkey. How can we have this toys? Your entire all of education and classroom point are very delighted to me in my view. Which can helps us a lot for our bright education future like global writings.Your classroom methods is really very handy for me. 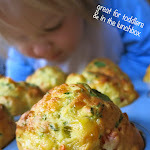 Yes, I agree with you educational toys help in child's development.Very nice post.. Thanks for sharing such informative post with us.. Waiting for your next share..